AUTOMOTIVE TECHNICIANS / AUTOMOTIVE MECHANICS Qualified & Certified Kia Automotive Technicians needed! Kia service sales are increasing and our dealership is expanding –now is the perfect time to continue your automotive technician career with Kia. Kia Automotive Technicians perform work specified on maintenance and repair orders with efficiency and in accordance with dealership and/or Kia standards. 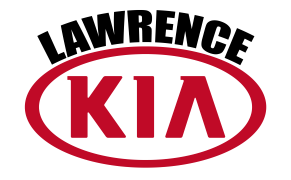 Kia Automotive Technicians diagnose and repair vehicle systems including engine, transmission, electrical, steering & suspension, braking, air conditioning, etc. to specification. Kia Automotive Technicians provide labor and time estimates for additional automotive repairs. Kia Automotive Technicians explain mechanical diagnoses and required repairs in a non-technical manner to service advisors and customers. At least 1 year of Dealership experience Preferred NOT required. Drive to learn and grow with a top performing team. Necessary tools and tool box to perform required tasks.